Happy last Friday of Q3. China is on vacation for the National Day holiday, also known as "golden week" next week so unless there is big news there may be no newsletter next Friday. On Monday the latest round of reciprocal tariffs took effect and China rejected the U.S. invitation for trade talks in Washington. In response to U.S. sanctions on a department in the People's Liberation Army and its head over Russian weapons purchases, China recalled its navy commander from his U.S. visit and postponed military talks scheduled for Sept. 25–27. The U.S. approved a $300 million arms sale to Taiwan. China denied a U.S. request for a Hong Kong port visit for the USS Wasp. President Trump accused China of meddling in the upcoming U.S. election and said that he and Chinese President Xi Jinping may no longer be "friends." The Trump administration is planning to launch a major, "administration-wide," broadside against China, according to two sources briefed on the sensitive internal discussions. These sources, who weren't authorized to discuss the plans with the media, told me the effort is expected to launch in the next few weeks. And if Trump thinks that he and Xi are no longer friends there could be a whole different level of deterioration in the U.S.-China relationship far beyond trade. They never were friends, but Trump believing they were seems to have provided some restraint on U.S. policies. My thought bubble: Regular readers know that I have been saying that Xi and his team had made a fundamental shift in their views of the trade war by August, from thinking it was a manageable dispute to now believing it is part of a broader American plan to keep China down. Now that Xi and the CCP system have decided that America’s real goal in the trade war is to "thwart China's rise" we are starting to see a rollout of official reactions, with self-reliance as a key theme. We should expect the PRC under Xi to use all means at its disposal as it pursues that goal, however impossible it may be in today's global economy. Welcome to the New Era of U.S.-China relations. 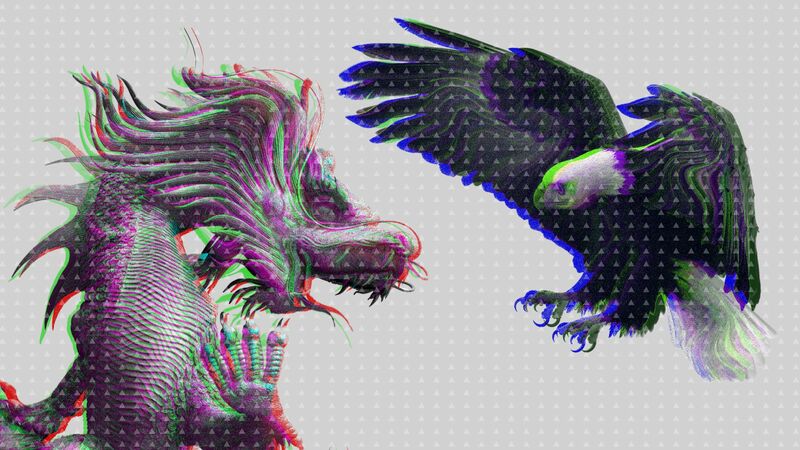 As Axios' Erica Pandey wrote earlier this week, the Trump administration is not only seeking what it calls fairer trade with Beijing, but much more — to upend the bedrock of the Chinese economy by forcing out the chain of manufacturing supply from the country, and pushing it elsewhere. Why it matters: There are doubts about this end game of Trump's trade war. After decades of development and tens of millions of dollars of investment, few U.S. companies seem likely to move their manufacturing facilities out of China. U.S. companies can consider moving production from China to Cambodia, Malaysia, Vietnam or elsewhere — both to dodge tariffs and avoid the threat of intellectual property theft, But elsewhere, they face other disadvantages like dirt roads between factories and ports and inexperienced workers, the New York Times reports. Feng Tay Enterprises, a Taiwanese footwear manufacturer that services Nike and Adidas, stopped building up Chinese production over 10 years ago, per Nikkei Asian Review. It's now adding capacity in India and Southeast Asia. What to watch: If a few big names try to cut reliance on China — even if they don't move out entirely — Xi could make concessions to avoid disrupting the interconnected supply chain. Bloomberg has published a profile of Chen Quanguo, Politburo member since last year and Communist Party secretary of the Xinjiang Uighur Autonomous Region since 2016. Before taking on the Xinjiang job, Chen was the party secretary of the Tibet Autonomous Region, where he oversaw a massive security upgrade. He appears to be applying what he learned in Tibet to Xinjiang. Under Chen's leadership Xinjiang has built a network of re-education camps that house hundreds of thousands of mostly Uighur Muslims. ...immediately set about replicating the system that brought him success in Tibet. He sent Communist Party officials to Uighur villages, created a network of checkpoints and facial-recognition cameras, and shuttered mosques in an effort to “Sinify” Islam in the region. Go deeper: Last month a bipartisan group of lawmakers called on the Trump administration to sanction Chen under the Global Magnitsky Act. The Trump administration repeatedly asks China to stem the flow of fentanyl to the U.S. — but China consistently responds that it's the U.S. that needs to halt its demand for the addictive synthetic opioid. Lucy sent Woodruff video of what she said was raw fentanyl powder made by her company’s factory. She said the product was “guaranteed” to make it through customs, sending us photos of the vacuum sealed foil packages she said the fentanyl would be mailed in. The other side: "20/20" spoke with Yu Haibin of the Ministry of Public Security's Narcotics Control Bureau. He remained consistent with the party line, blaming U.S. demand for the fentanyl trade. Why it matters: The opioid epidemic is worsening and given China's role as a key supplier, it is another point of friction in the U.S.-China relationship that may intensify quickly. Overall, Chinese outbound travel worldwide stayed strong, growing at 5.5 per cent from the previous year, the ForwardKeys study found, based on 2018 data compiled from global airline booking databases. Why it matters: Chinese visitors in the U.S. spend a lot, nearly $35 billion in 2016 according to the report. This week's issues of my Sinocism China Newsletter, now with a special discount for Axios readers.